Some could say love and music is all you need in life. However, no one tells you what to do when your love of music battles the music of those that you love. Thus is the case in writer/director John Carney’s Begin Again. The film opens up in a bar where live music is center stage. Singer-songwriter Greta (Kiera Knightley) is dragged up on stage to belt out her new ballad. She proceeds to blow away formerly renowned music producer Dan (Mark Ruffalo) as he observes in his drunken stupor. The story then whisks the audience away to witness the events that transpired that led to these characters meeting in a bar. At this point the audience is a little unsure as to if their involvement will lead to a cheap romance, or a functioning music collaboration. It’s enough to keep the audience interested, but a little uneasy about what kind of climax they’ll be privy to. As the film progresses, we are immersed into a project that Dan and Greta scheme up out of nowhere. The project: record an album outside of a professional studio in various settings in New York City. It’s a grand plot point, but the conviction here is lackluster considering this moment sets the story in motion for the rest of the film. Begin Again follows an interesting formula. It takes the audience for a non-linear approach in the first 10 minutes, which leads them to believe this film could serve as a game-changer this year in film. However, that’s the only risk that John Carney takes during this directorial effort. 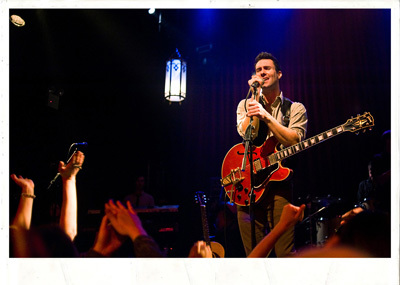 The rest of the film is propelled by a stellar soundtrack that singer-turned-actor Adam Levine contributes his voice to. The film lacked a lot of heart as well, and it was difficult to feel an emotional punch to my cinematic heartstrings. It meant well, treated you nicely during the experience, but wound up falling short of a successful film for 2014. Begin Again is a forgettable film, but it’s not time wasted viewing it. I advise to wait until the film makes its way to the streaming masses, but if you find yourself avoiding the newest Transformers: Age of Extinction masterpiece directed by none other than the great Michael Bay himself, then by all means buy a ticket to Begin Again. You’ll be happy you did, if that’s the case. 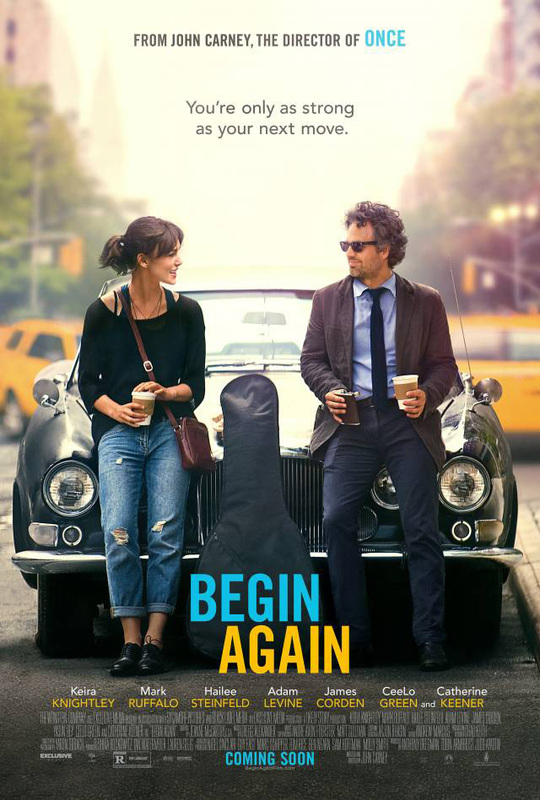 Begin Again is now playing in Philly theaters.